The network is giving you more control over the ads you see, but now you can't avoid them. Most website operators rail against about the widespread use of desktop ad-blocking software, but Facebook is actually doing something about it: blocking the blockers. The network said Tuesday that is deploying software on its desktop site that make those ad-blockers useless, so it can continue to serve you ads. 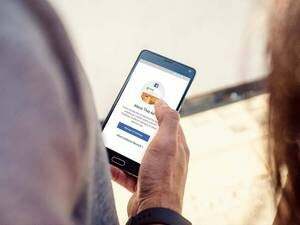 This move is guaranteed to enrage people who think companies have gone too far in their use of intrusive data-tracking methods like cookies, which follow you around the internet and use your activity to serve you targeted ads. But those companies, Facebook included, argue that their services and/or content are free, and so advertising is necessary to pay for all the labor that goes into providing that service/content. Facebook’s ad-blocking blockers will make both ad content and non-ad content appear the same to ad-blocking software, according to the New York Times. Facebook collects a ton of info about you, as you already know. It knows who your friends and family are, what you like, and where you go. All of that information is funneled into an advertising profile. Yes, it’s kind of creepy. The good news is you have control over what that profile says. 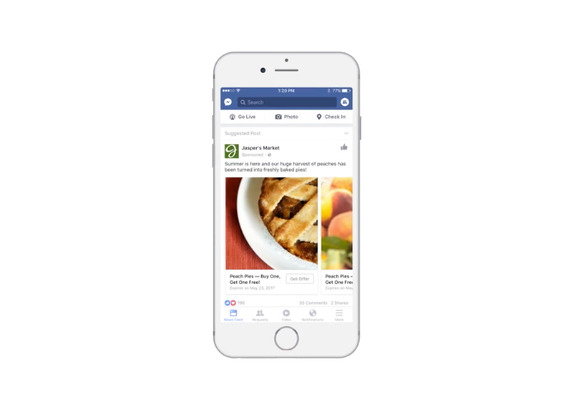 If you see an ad in your Facebook News Feed on your desktop or in the Facebook app, click or tap the drop-down arrow on the top left of the ad, and then choose “Manage your ad preferences.” There you’ll see a list of interests that Facebook has selected for you based on that info it has. 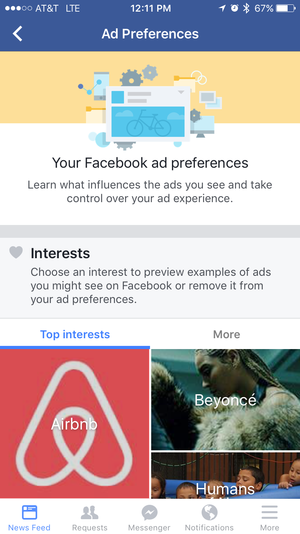 If you remove all of those interests, you’ll no longer see such hyper-targeted ads, which is a good thing if you care about your privacy, or a negative if you want to see ads that are relevant to your interests. Facebook will continue to add informaiton to this profile as you tap on ads or like pages, but you can always edit it at any time.